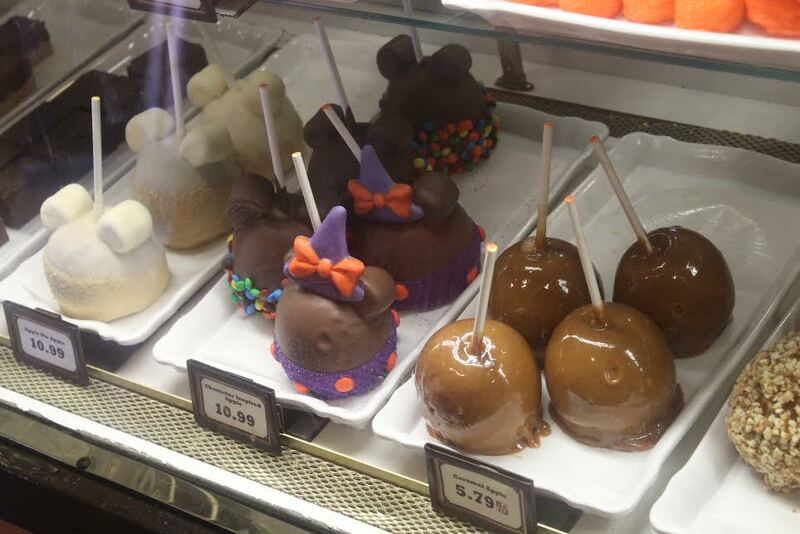 Disney can be pretty expensive and one of the major things that eats into your budget is the food. There are a lot of delicious foods waiting to be devoured around the Magic Kingdom but the price tag can give you a bit of sticker shock and calorie shock as well! 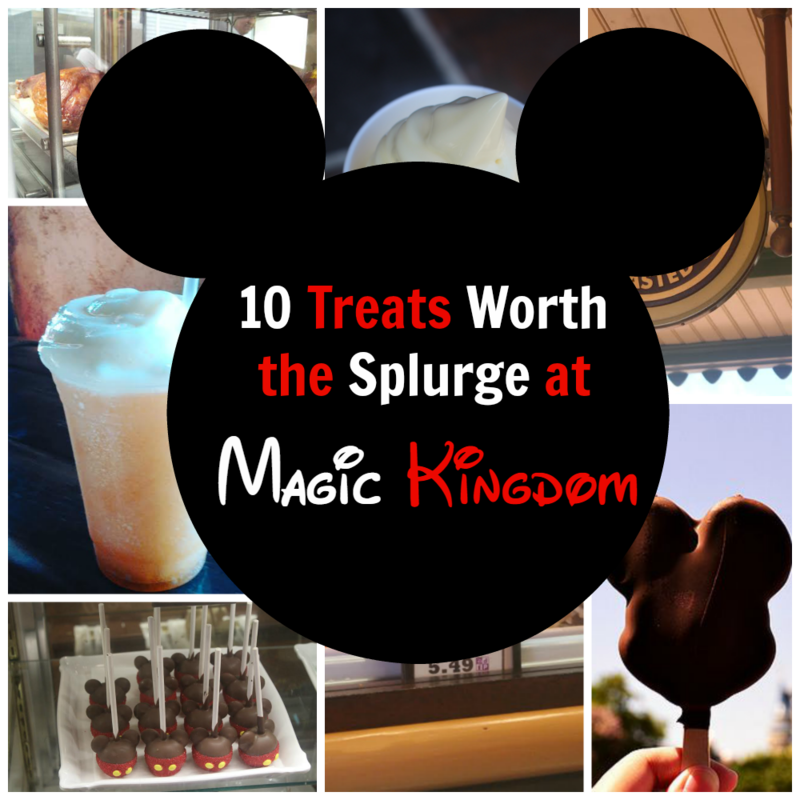 There are some things that are well worth it on both counts and I have gathered up my 10 Favorite Treats That are Worth the Splurge at Magic Kingdom! I am giving you a good mix up of sweet treats and salty dishes to hit whatever craving you might have during your visit. 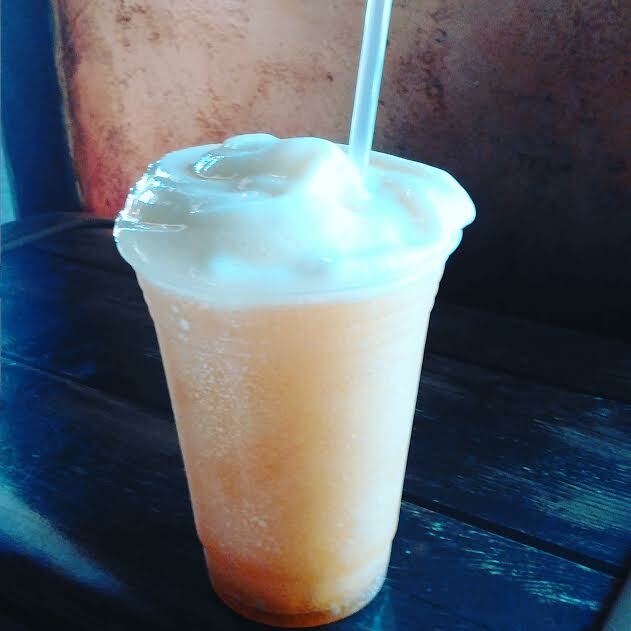 LeFou’s Brew– I just recently discovered this amazing drink at Gaston’s Tavern in Fantasyland, it was so good that we had to go back for a second a couple hours after we had the first one. The flavors didn’t sound all that appealing but it was iced and it was a really hot day so I gave it a go. Frozen apple juice with marshmallow flavoring topped with a passion fruit-mango foam…weird right? Wrong! It is the most delicious concoction and we loved it so much we are trying to make a copycat version for home! 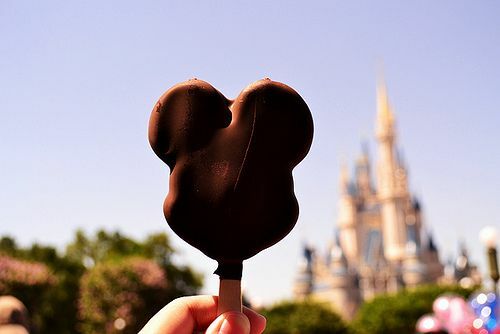 Mickey Mouse Ice Cream Bar– The famous mouse head shaped ice cream on a stick dipped in chocolate is almost a requirement when visiting the park. It’s simple, it’s tasty, and it’s perfect on a hot day. 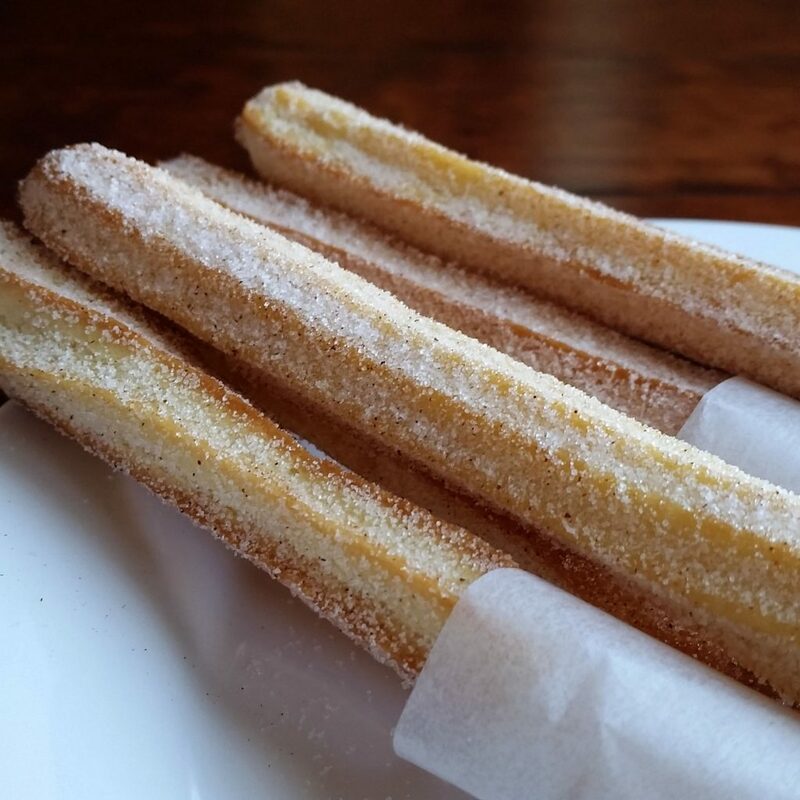 Churros– You can find these deep fried cinnamon sugar coated treats at a couple different snack carts as well as mini churros (which I had) at Pecos Bill Tall Tale Inn & Cafe. They come with chocolate sauce but I prefer them naked. Cinnamon Roll– Grab one of these huge and delicious cinnamon rolls while enjoying your Lefou’s Brew at Gaston’s Tavern. They come out warm, soft, and drizzled with icing.The perfect treat to keep your energy up! Mickey Rice Krispie Treats– While they serve these year round and they are gooey and tasty you can find them decorated for various seasons like these in the fall. Something about the seasonal decoration just makes them taste even better. Cake Pops– These are the perfect size when you want just a small sweet treat to tide you over or cap off a meal. 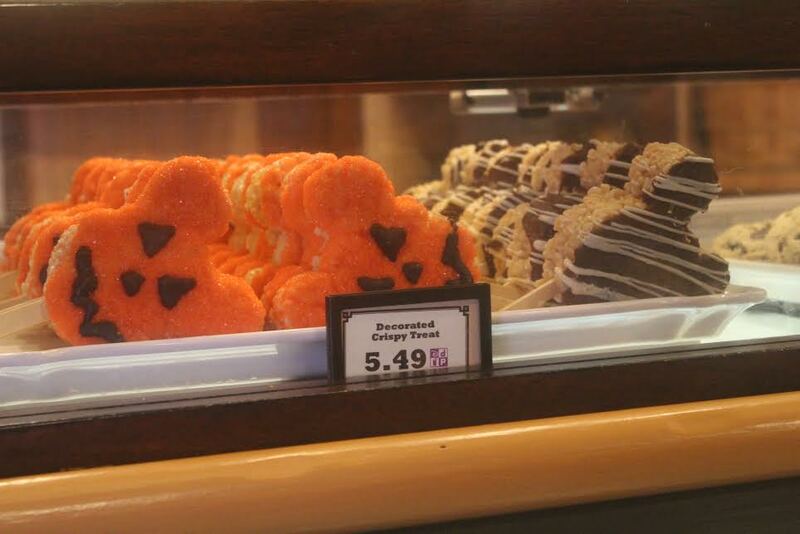 I spotted them at the Main Street Confectionary, Main Street Bakery, Goofy’s Candy Company, and Prairie Outpost and Supply. 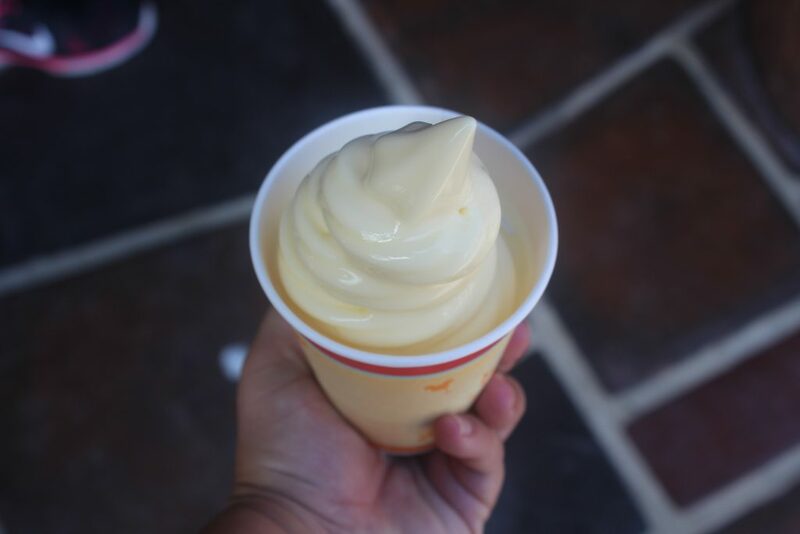 Dole Whip– There is a reason this is one of the top treats time and time again on every Disney food list. If you are anywhere near Aloha Isle in Adventureland you want to grab one of these soft serve pineapple cups, you can also get it as a float. Starbucks– Okay yes, you can have Starbucks anywhere, but there is something about the familiarity of an iced coffee with the green circle on it that belongs. 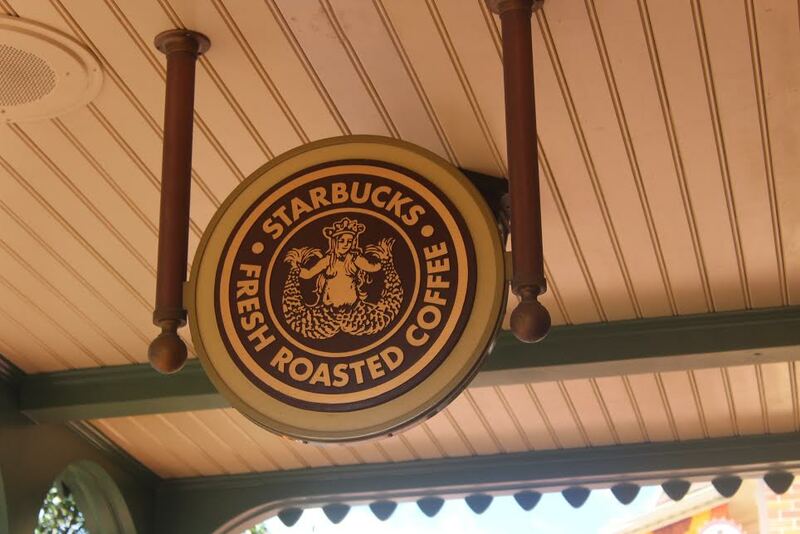 In the Main Street Bakery you will find a full-service Starbucks with all your favorite drinks, including seasonal flavors. 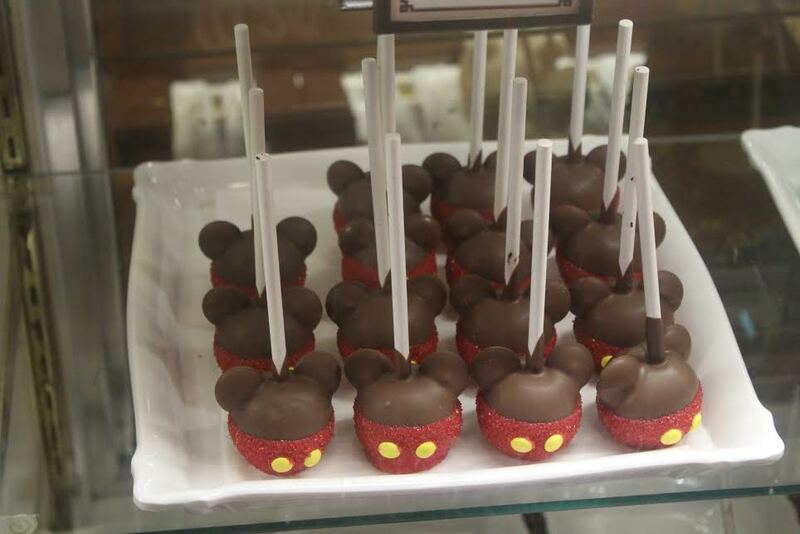 Mickey Candy Apple– A bit high for a candy apple ,but I think it’s worth it for the adorable way they are decorated and they are pretty darn tasty. You will find them in most most of the popular characters as well as with seasonal colors and themes at several different locations throughout the park. 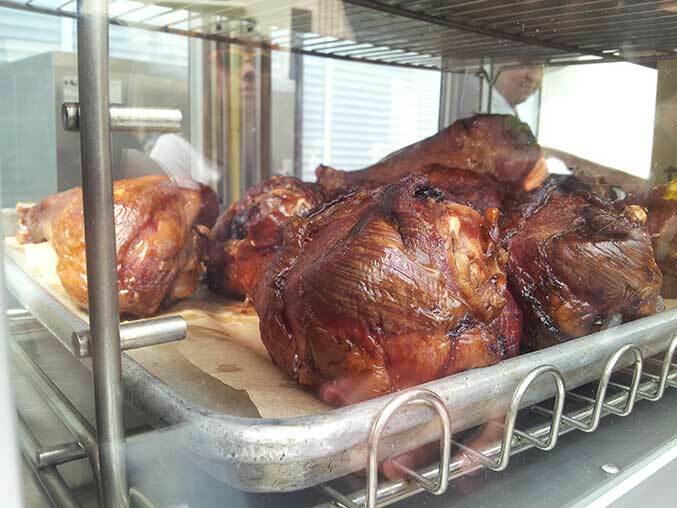 Turkey Leg– I don’t know any other place or time, other than possibly Thanksgiving where I would attempt to devour a hunk of meat this size but the smoked turkey legs in Frontierland are a must! They are big enough to share or keep it to yourself!